Dr. Stephen Strange (Benedict Cumberbatch) is a brilliant surgeon. He is also an arrogant prick, who is mean to his fellow surgeon and girlfriend, Christine (Rachel McAdams), and a terrible driver. Driving to a speaking engagement, Strange is speeding, and driving recklessly, on a winding wet road while answering and talking on his phone. As so often happens (we know all too well) he crashes. He lives, but, his hands are ruined and his life as a surgeon is over. (Drive Safe! Never Forget (Carol, Chris, Kassy, and Bobby)). Despondent but determined to get well again, Strange finds a person who miraculously recovered from a crippling back injury. That person tells him he can go to Kathmandu in Nepal to get healed, but, he warns him: There is a cost involved that has nothing to do with money. 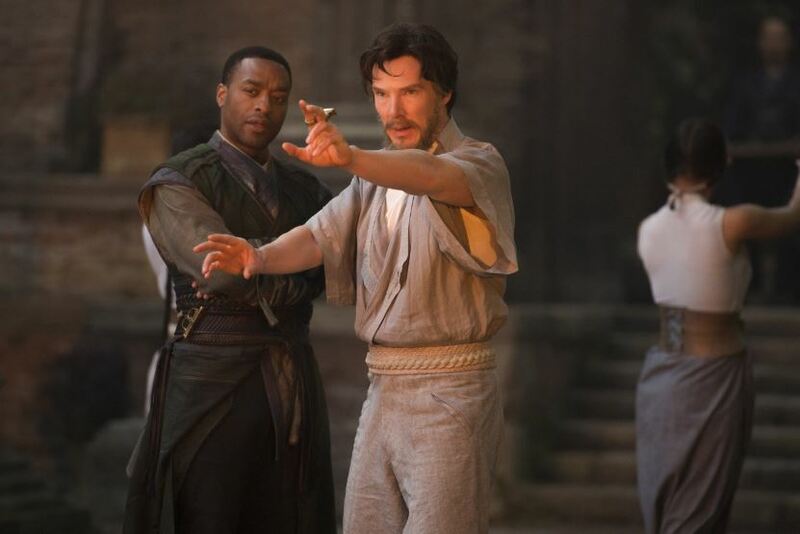 Arriving in Nepal, Strange is taken in by The Ancient One (Tilda Swinton) and a master sorcerer, Mordo (Chiwetel Ejiofor), and taught the ways of the mystic arts. Strange is a natural in the mystic arts and quickly becomes a very powerful sorcerer. “Doctor Strange” is a fantastic movie! Part of the Marvel universe, it drops several references to the Avengers including a quick visual of the Avengers building and logo, and a cameo by Stan Lee. Ok for the whole family. Cumberbatch, Ejiofor, and Swinton shine. Stay all the way through the credits as there are TWO snippets that are very very interesting.